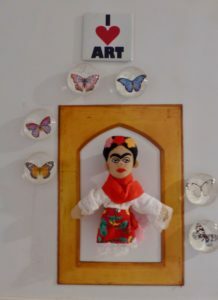 When, thirty years ago, on return from the US, I told the artist Dorothy Cross the news about our wedding and how I’d got married lying down, she started to laugh and said “You and Frida Kahlo!” and thus turned me on to the wonderful and awful life of the artist Frida Kahlo. Since then, I have read all the books, been inspired and informed (i.e. 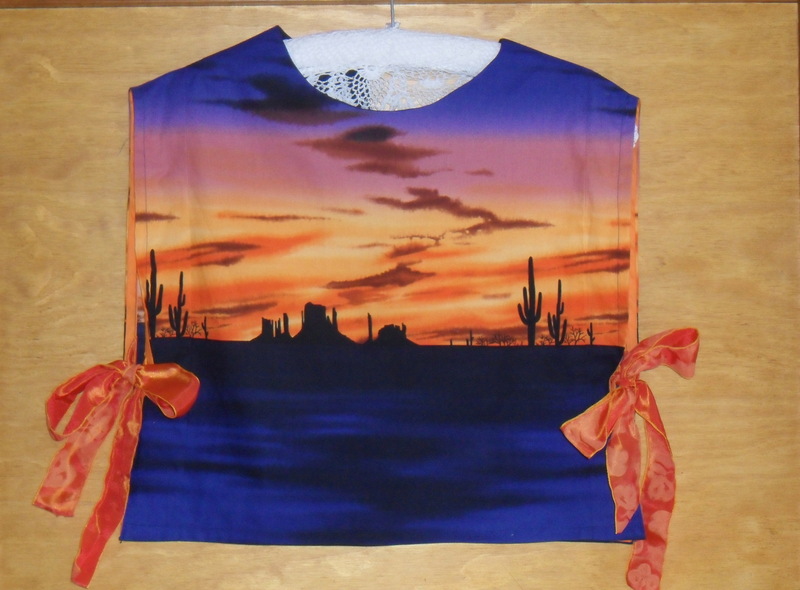 cogged) artistically and sartorially and have gone to every Frida exhibition within range at home and abroad. 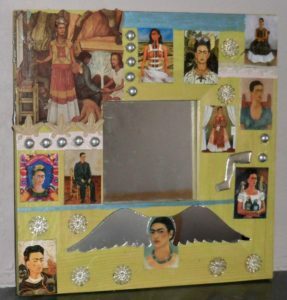 Over the past few years however, it’s making me uncomfortable, this commercialisation of Frida Kahlo. Great that it’s she, and not her frog prince Diego Rivera who is the subject of popular adulation, but now, exploitation. Rivera was always considered ‘the better artist’ nay, long considered the ONLY artist in that loose partnership; Frida was, after all, only a woman and crippled, so she was merely a crafter, a hobbyist. In Berlin, particularly in the East city, old habits die hard and many shops turn off their lights at closing time, making entire streets dark until the morning. 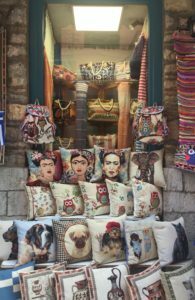 As I was walking through the night city in such quiet, restful light, edges blurred black, I passed a shop window where all else was in gloom but for Frida’s face staring out from a cushion cover (as though desperate to be rescued from bourgeoise decor I thought, and nearly broke the window to let her out and set her free on city pavement.) 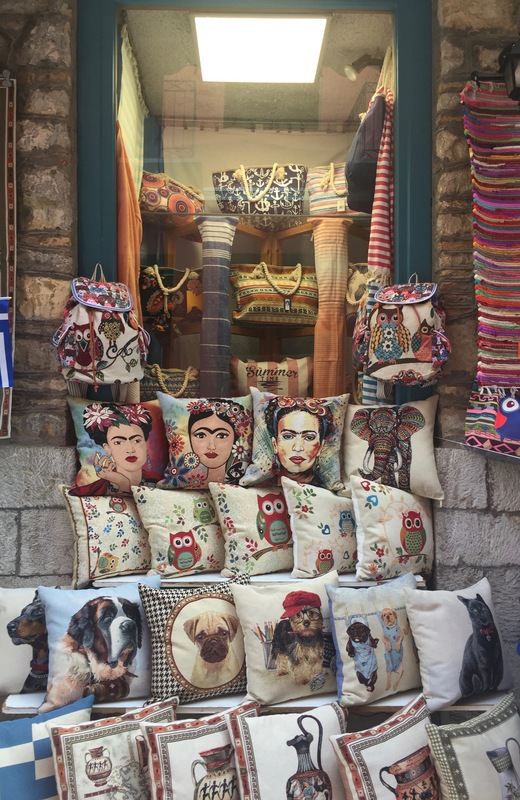 I’ve seen the same in France and Greece and Istanbul and Australia and Ireland and all over; Frida, Frida, Frida, often in the worst of fey commercial reproduction. 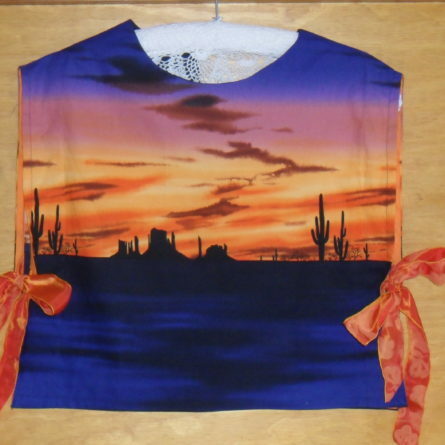 She painted herself, because, lying on her bed, her legs and back mangled and broken by disease, trauma and bad medicine, she could only paint what she saw: her own face in the mirror above her bed and through her third eye, her imagination. Now that face is everywhere. 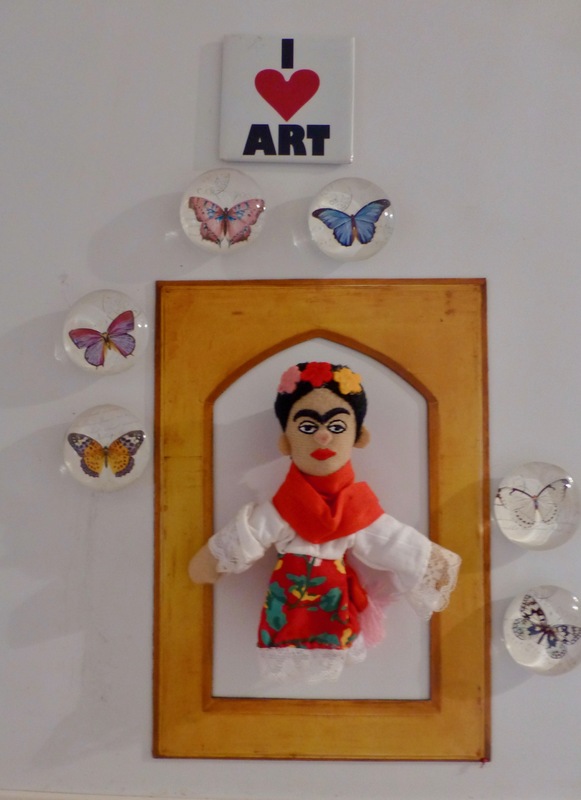 The Victoria and Albert Museum in London is holding a ‘Frida Kahlo: Making Her Self Up’ exhibition which is fine, but…….Barbie? 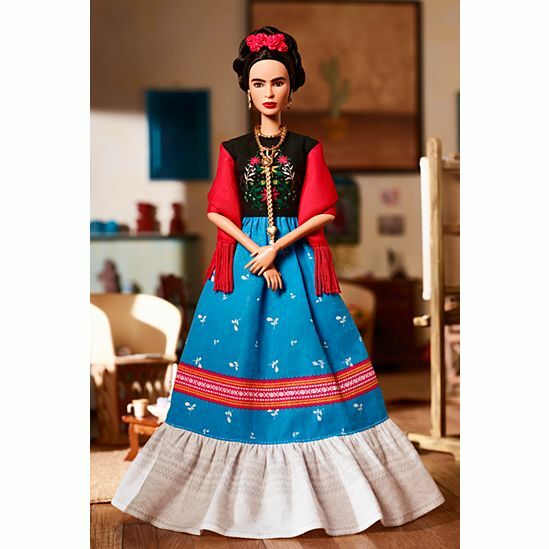 There is now a Frida Barbie doll ….and she doesn’t even have a proper monobrow. "Prose Poetry and the City"
Victoria and Albert Museum. 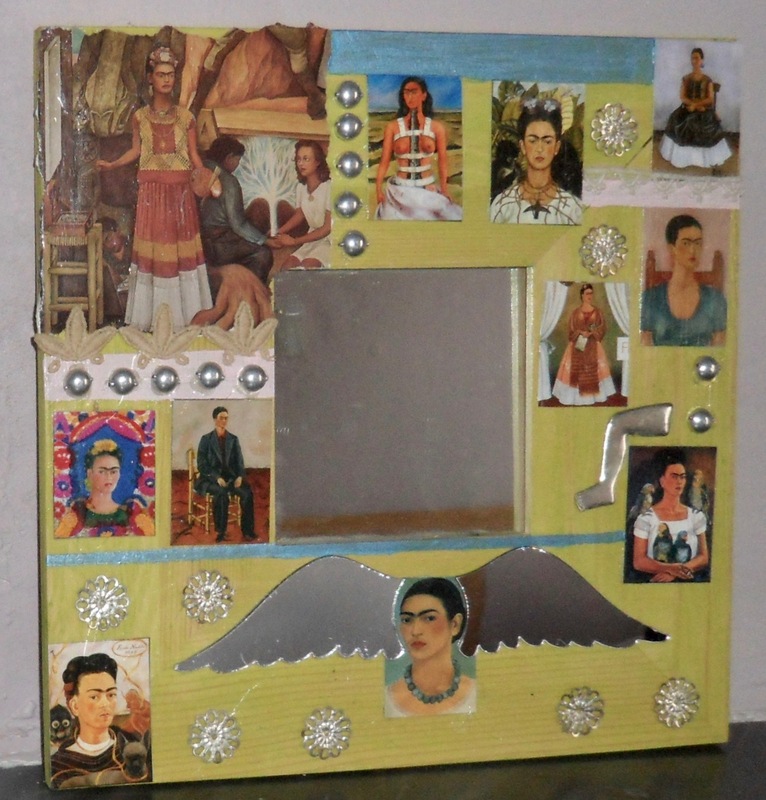 "Frida Kahlo:Making Her Self Up"